Rail logistics is complex. In fact, at times it can feel a bit overwhelming. To ensure your shipments are moving and your customers are happy, you need the ability to keep track of every car in your fleet at every step of its journey. It’s a daunting task – one that requires specialized technologies. GeoMetrix Rail Logistics is dedicated to the development of best-in-class, integrated rail logistics management technologies, support and customized solutions. GeoMetrix Rail Logistics was founded in 1984 in Calgary, Alberta by Jim Benedict, a professional engineer with extensive experience in the field of industrial process. Over the last 35 years, the GeoMetrix team has expanded to include dedicated professionals in a variety of disciplines – whose average tenure with the company is over 15 years. GeoMetrix Rail Logistics’ ‘family’ approach extends beyond the entire team, now led by 2nd generation Jason Benedict, to embrace every GeoMetrix client – many of whom have been with GeoMetrix since inception! 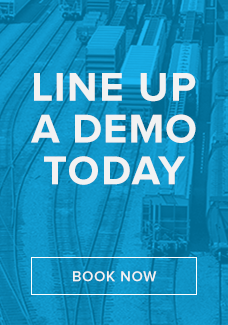 GeoMetrix Rail Logistic’s flagship technology is the GeoMetrix Performance Suite – a comprehensive online rail logistics management system for anyone who owns, leases or operates a fleet of railcars, or relies on rail transportation for their business. GeoMetrix efficiently gathers and organizes real-time railroad industry data for every client. From tracking and tracing, through to railcar, route, shipment and yard management, the GeoMetrix Performance Suite covers every facet of rail operations. 1. Deep Experience – Since inception, the GeoMetrix Team has been focused on the development and delivery of rail fleet management solutions. Individually and collectively they have impressive insight into the development and support of user-friendly software tools that simplify the complex. 2. Superior Systems – Extending far beyond simple Track and Trace capabilities, the GeoMetrix Performance Suite is a single source for all railcar information and a powerful planning and operations management system. 3. Software Customization – GeoMetrix Rail Logistics’ software designers are adept at working with rail industry clients to create more tailored solutions. We recognize that producing an outstanding rail logistics management technology hinges on its successful implementation and adoption by our clients and their employees. That’s why GeoMetrix has developed such a comprehensive array of processes, tools and resources to ensure that every installation is efficiently implemented, fully supported and continuously maintained and enhanced. GeoMetrix Rail Logistics is a leading provider of supply chain management technology for the North American rail shipment industry. To read a more comprehensive description of these services, CLICK HERE. "A user-friendly, fully customizable program that saves time, money and frustration!"